#Selfie mode to replace cash cards? 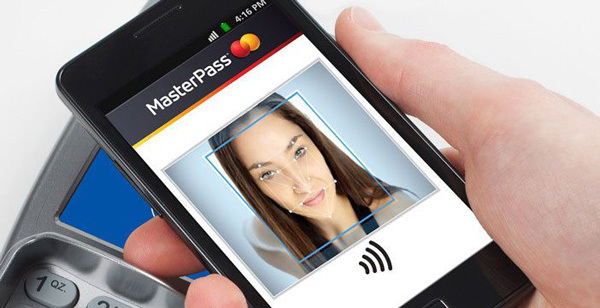 MasterCard are revolutionising the way we make payments; out with the credit cards and onto payment selfies! Customers will be able to complete purchases without the need for a password, just via a photograph. After registering yourself on the Identity Check Mobile app, you will be free to authorise payment with face recognition. But don’t worry - in order to ensure it is actually you looking at the camera, you will have to blink when the clicker goes. As technology advances, being able to use more advanced security is a part of that; first finger print technology and now face recognition. Mark James, ESET IT Security Specialist, explains the benefits of biometrics and why multi-layer security is essential. “With mobile technology being incorporated into our daily lives, it was only a matter of time before security was integrated into those devices. “Touch ID and fingerprint options have enabled us to unlock our phones and laptops without the need to enter passwords for all to see. By using biometrics, we need to encourage the user to adopt stronger, unique passwords, passphrases or passcodes as a backup. “Biometrics have always been seen as the next stage in security, moving on from passwords, and will appeal to the public because it utilises their mobile technology: in theory there is no additional buy-in. “Face recognition accomplishes two goals: the first is not having to remember your password each time you want to access those services. “Secondly, they negate the need to enter passwords onto small mobile devices that may be easily seen by others. “The two together enable the user to keep their passwords from view, and as long as the provider protects your biometric data from being compromised, then the ease of service offered to the end user will encourage product necessity. “We like the idea of getting value for money from our modern, often expensive, mobile phones and utilising cameras and scanners on those devices is a good idea, as we carry our mobile phones around with us all day long, and already use them to buy coffee, groceries and fuel for our cars. “Face and retina recognition has long been used in Sci-Fi films to confirm identity, and is seen to be the next step in keeping the average public safe when purchasing in store and online. “As for risks, we need to pair them side by side with the risks of using just passwords. We encourage unique, fairly complicated passwords, and reiterate that for security to be effective it needs to be multi-layered, but also want the user to remember all the passwords for daily use. “So anything, in my opinion, that encourages uniqueness should be embraced, and if biometrics encourage, or even force, users to have a much more secure password base, then that’s a good thing right? “We are seeing more and more companies embrace different methods to help the end user with their security; fingerprints and face recognition is easily integrated into our mobile devices that have now become an integral part of our daily lives.